Extra Space’s Spencer Kirk says technology has changed the way the sector operates. 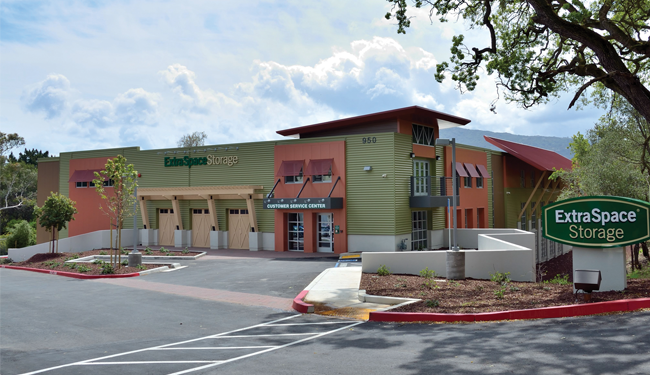 The self-storage sector has the staying power to remain strong through both the good and bad economic times, according to Spencer Kirk, Extra Space Storage Inc.’s (NYSE: EXR) chairman and CEO. Customers utilize Extra Space’s storage spaces based on life-changing events that occur regardless of economic conditions, such as weddings, divorces or selling a house, Kirk says. Now, with more tenants utilizing self-storage facilities on a regular basis and a historically low supply of new facilities being built, Kirk says the self-storage sector is poised to take advantage of positive supply-and-demand fundamentals. The Salt Lake City-based REIT is the second-largest self-storage operator in the United States with more than 900 properties across the country. Kirk joined the company in 1998 and hasn’t looked back. He was named the chairman and CEO in 2009 after serving as the company’s president from September 2007 to April 2009. Prior to the company going public, he served as executive vice president of the company from 1998 to 2004. Before that, Kirk was CEO and founder of Megahertz, which was a leading manufacturer of laptop modems. REIT magazine recently spoke with Kirk about the sector’s demand drivers, how technology has changed the business and some of the misperceptions that people may have about the self-storage sector. REIT: What prompted you to get involved in the self-storage sector? Spencer Kirk: I spent 10 years in the high-tech world where Ken Woolley, who started Extra Space Storage, was serving on my board of directors. In 1998 he approached me to help with this storage company he founded. REIT: What would you say is the biggest difference in the self-storage sector now versus 10 years ago? Kirk: The biggest change is the Internet. Today the yellow pages are gone. They are irrelevant because either you drive up to the facility or go to the Internet on your desktop, laptop or mobile device. What’s changed for me is the way we are able to communicate with customers. The Internet was thought to be the great equalizer and that the smaller operators would be able to compete head-to-head with the larger operators, because the playing field was level. However, what has happened is the Internet is not the great equalizer, it’s the great divider. Larger operators are clearly using the power of the Internet to their advantage. REIT: Can you explain more about how the Internet has affected the way that self-storage companies do business? Do you see technology playing an even larger role in the sector going forward? Kirk: The Internet bidding process changes every day. Extra Space has more than 500,000 customers, of which about 40,000 move in every month and 40,000 move out every month. The way we attract 40,000 customers every month is now largely dependent on the Internet. Extra Space, either internally or externally, has 42 people helping us with our Internet strategy, our mobile strategy and our social media strategy. We bid on 12 million search terms every single day and spend more than $25,000 a day, every day of the year on the Internet. So, when I say the Internet was thought to be the great equalizer, if I’m a mom-and-pop operator with one or two stores, I don’t have 42 people working on my strategy in adapting to the changes in Google search rules, etc. I don’t have $25,000 a day to bid on search terms. I am in no-man’s land. The Internet is not the great equalizer, it’s the great divider. Larger operators are clearly using the power of the Internet to their advantage. Furthermore, what we’ve done with technology on revenue management is very similar to what happens in the airline industry. We are pricing our product dynamically in real time every minute of every day. That is very different from the mom-and-pop operator who said, “Here’s one price, we’re not going to touch it for a year, and it applies to every 10-by-10 unit that I have in my system.” We have six full-time employees working on our revenue management system, including two scientists focused on applied mathematics and economics. We’ve become a very sophisticated company in the interactive world. REIT: Will consolidation in terms of public REITs acquiring private mom-and-pop storage operators continue into 2013? Kirk: Yes, consolidation will come in two parts. One is financial consolidation, where the larger operators just come and gobble up the smaller operators and buy them out. The other is operational consolidation, where we don’t necessarily buy that property and bring it onto our balance sheet, but we simply let the owner continue to own it and we take on management control in our taxable REIT subsidiary and we rebrand it as Extra Space. But it’s our computer system, Internet revenue-management and everything else. We put our employees behind the counter, very akin to what happens in the hotel industry, where Marriott operates nearly 3,700 hotels but actually owns six. Nobody cares who actually owns that Marriott-branded hotel; all they want is an easy reservation, a clean room, a decent meal and a predictable experience. In the last four years, Extra Space has become the country’s largest third-party management company in the self-storage space. It is important to note that this will be an evolution not a revolution. It’s going to take time. For many of these people, turning over the keys to their facility is an emotional decision. These are small mom-and-pop operators who are very methodical. REIT: What are some of the primary themes you see in the self-storage industry as a whole going forward? Kirk: Two very positive things. Currently there is virtually no new supply coming into the market. We think there may only be a few hundred properties being built across the United States, not thousands. If you are an operator in self-storage, you are in a very good position. The second issue is that the larger operators, the four publicly traded REITs and U-Haul, have the scale and sophistication on the Internet and with regard to revenue management to take market share from the smaller operators. On a supply scale, size matters immensely today. REIT: Tell me one thing about the self-storage sector that you think is often misconstrued by the public? Kirk: I think the biggest misperception is that this is a very sleepy, backwards business where we have cinder block fences on the freeway with razor wire across the top of a rusted out chain link fence and some guy in a tank top with a tattoo and six sawed-off shotguns sitting in an El Camino watching over people’s junk. This industry is fast, high-tech and very sophisticated. It’s moving at an accelerated pace, and the assets that we are deploying and offering space to customers in are state of the art, climate-controlled, first-class, retail-oriented and very consumer-friendly. Now, that is very different than some self-storage facilities 10 or 15 years ago. REIT: How do you choose the markets that you want to expand in? What qualities must they have? Kirk: If you draw a box and divide it into four quadrants including high-income and low-income, high-density and low-density, the only quadrant we don’t want to be in is low-income and low-density. All of the other quadrants allow us to have enough actual velocity and enough dollars flowing though the facility to produce the results that have put self-storage at or near the top of the real estate sector in terms of total returns to shareholders in the past five years. We like properties that fit very well into our operational foot print, which is 35 states plus Washington, D.C. Where we do have facilities, we have solid household income in a three-mile range and a certain population density within a three-mile range. The last thing I would underscore is that we are a North American-only company and we have no interest in expanding overseas. In the United States, there are approximately 54,000 self-storage facilities. Throughout the entire European Union, there are less than 3,000. The grass is not greener on the other side of the pond. Part of the reason we have excelled as a self-storage company is because we have focused singularly on one market, so our Internet strategy, revenue-management strategy, technology platform and software are all geared to one market. By focusing those resources, we’ve been able to produce best-in-class results for the last 27 quarters on average. REIT: How would you describe your outlook for fundamentals in the self-storage sector in 2013? Kirk: The overall health of our industry is not tied to the health of the economy. Self-storage does well in spite of the economy, and as the economy continues to heal, I think that will further propel the self-storage sector’s performance. What’s very interesting is that ours is a need-based product. We are not selling iPads or iPhones. This is not something that people necessarily want. However, when there’s a life-changing event—like a birth, death, marriage, divorce, upsizing, downsizing, going to college, coming back from college—those life-changing events cause people to solve a temporary problem and they seek out storage. So, self-storage does well in good and bad economies because it’s need-based. And based on that, the fundamentals for the business look positive going forward, and an improving economy means that we will continue to see good positive results out of the sector. Carisa Chappell is REIT magazine’s associate editor.